What’s Wrong With Diabetics Eating Fruit? 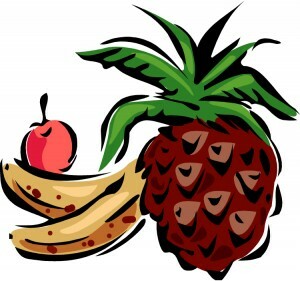 For years now, I have heard all the claims about fruit being good for type 2 diabetics. And how most fruit has a lower glycemic index and such. In general, I disagree with this notion. And if you never ate another fruit for the rest of your life, you’d probably be better off. First hear me out, if your only options are an apple or 5 donuts, sure go for the fruit. But the bottom line is, fruit contains a boatload of carbohydrates and sugar. One must remember that while table sugar will spike your blood sugar the quickest, at the end of the day, all carbohydrates are converted in the body to glucose. One reason why fruit can be damaging for type 2 diabetics is because it contains high levels of the simple carbohydrate fructose. Fructose can cause the same increase in blood sugar as table sugar. It may not happen as rapidly as table sugar, but it still happens. This is where people aren’t aware and this can be a problem in type 2 diabetes. I want to share something that I hear from doctors I work with far too often. It’s that type 2 diabetes is a progressive disease and no matter what, you’ll need to go on medications. Now while this may be true for some, if you want to thrive and not go on medications or come off, you need to understand that too many carbohydrates of any kind equal bad news. Period. You have to take the load off of your pancreas, which is pumping out all that insulin and working much harder for a type 2 diabetic, than a nondiabetic. Over time the system burns out. Think of what would happen if you tried to drive at top speeds from New York to California nonstop. You’d probably have one overworked car that didn’t get you to your destination. So if you have type 2 diabetes and think you’re doing everything right – you exercise, have 4 pieces of fruit per day, and still your blood sugar levels get worse. And you wonder why. Just know that it could be the fruit. Too much fruit can really screw up your blood sugar. Fruit is not THE healthiest of foods out there. In fact, Greens, Kale, and green leafy vegetables like this pack more than 5 times the nutrient punch than the most nutrient dense fruits you can eat: berries. Strawberries, blackberries and raspberries. Green leafy vegetables are off the charts when it comes to nutrients. So if I was to recommend any type of food it would be green leafy vegetables. And if you have to have fruit, your best bet would be berries. And of course in moderate amounts. The main take-home here is try to avoid getting carried away with fruit. And certainly, not all fruit is created equal. A good rule of thumb is – if it’s sweet avoid it or only eat it in moderate amounts. At the end of the day, fruit like all carbohydrates cause your blood sugar to go up and do contain a high amount of simple carbohydrates. So have them in moderation and if you can help it, avoid them. Prior to using any of this nutritional advice or material, please consult with your physician. Pharmaceutical industry veteran spills the beans on how to control diabetes naturally…You Too Can Get Off the Diabetes Diet Rollercoaster, Off the Drugs, and Experience Perfect Blood Sugar! © 2011-2019, Ascent Solutions LLC - All rights reserved.